With its low ceiling and stage, Stereo’s basement provides an intimate and engaging space to share with bands, making it an excellent venue for Dream Wife’s sold-out Glasgow gig. 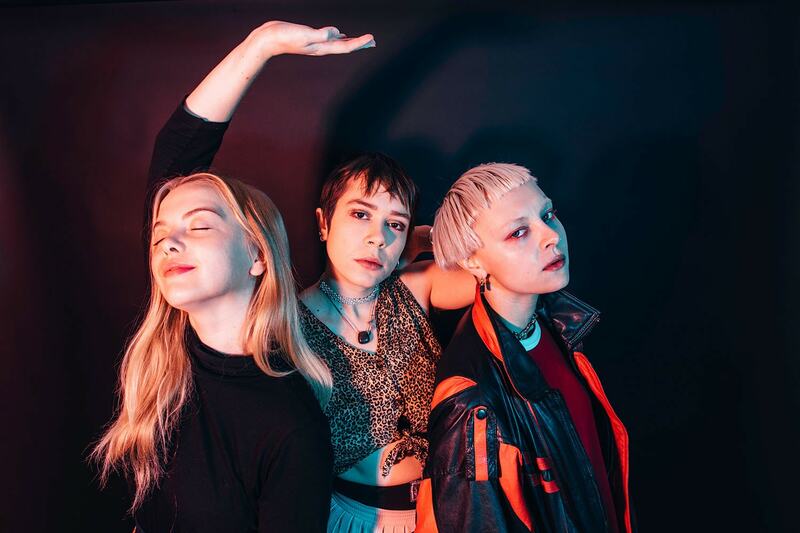 Dream Wife were supported by Glasgow-born punk band LUCIA, whose set complemented their musical and visual aesthetic well, although the adolescent nature of their set and lyrical content meant they paled in comparison to Dream Wife’s dynamism. From the moment they took to the stage, the headliners started their set strong and maintained a high energy performance. ‘Hey Heartbreaker’ and ‘Love Without Reason’ were stand-outs well received by the crowd, and their performance had a punk theatricality that commanded the attention of the audience. Unfortunately, about halfway through, the atmosphere shifted. Just prior to the song ‘Somebody’ (the chorus being “I am not my body/ I am somebody”), lead singer Rakel Mjöll called for all the women to move to the front. An attempt to tread the line of inclusivity was made when Mjöll called for audience members who “identified as female” to come to the front too, however, this approach created a distinction between women and those who identified as women, putting masculine-looking audience members under scrutiny – one such masculine-appearing audience member was pointed out by Mjöll, and only after being told to move to the back did Mjöll ask if they identified as female. Creating a situation in which a trans person would either have to misgender or out themselves to a room full of strangers is not safe, and it was evident that some of the audience were not on board with trans inclusivity from their shouting, “Vaginas to the front”. There was a feeling of hostility and exclusion, and I could see people leave as a result. This was undoubtedly empowering for the women who took their place at the front and danced with Mjöll as she climbed down from the stage, but I can’t understand what value there was in excluding non-binary and trans masculine people when the intention was clearly to empower an oppressed group. Despite being addressed, the handling of trans feminine inclusion was clumsy to the point of insult. Alternatively, respecting a person’s choice to exist within the gendered space that has been created and making it clear to the audience that trans women are women would have created a safer and more supportive space that would have bolstered the gig. I would be very hard pressed to call Dream Wife gigs safe for trans people in light of this.